The discovery of GUMMETAL, with its super-low Young's modulus, now allows us to truly control teeth three-dimensionally and to construct orthodontic appliances that distribute force that is very close to the optimum amount needed to steadily and gently move teeth. In this book, the reader will discover much more about GUMMETAL orthodontic wire and how to utilize its characteristics for the enhancement of orthodontic therapy. In the specialty of orthodontics, treatment results depend on the clinician's knowledge, manual dexterity, philosophy, and effort. 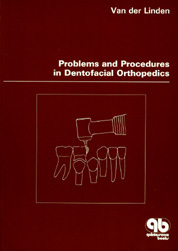 This book highlights the lack of common scientific guidelines in orthodontic practice, advocating for the recognition of such guidelines that work to place the teeth in positions that will produce the healthiest, most functional, most esthetic, and most stable results possible. Traditional procedures for cephalometric superimposition that are based on the use of periosteally located landmarks or their dependent substitutes are unstable over time. This renders interpretation of pretreatment-to-posttreatment changes unreliable. The structural method of superimposition is the only evidence-based method of superimposition, and it provides individualized, farreaching insight into growth and treatment changes. Titel aktuell nicht auf Lager - gewöhnlich versandfertig in 2-3 Wochen. 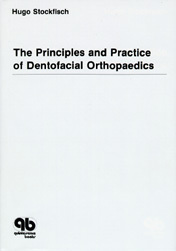 Introduced in 1978, the Alexander Discipline represents a unique approach to orthodontic treatment; today, clinicians around the world apply its 20 master principles in their practices. An outgrowth of the Tweed technique, these basic principles have been developed empirically over many years in the author's own practice. 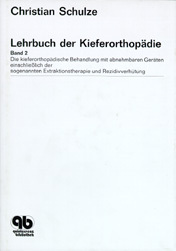 Complete records of patients treated by the author are presented to demonstrate specific results and the stability of treatment. Der Fortgang der Wissenschaft und der zentrale Stellenwert der Kieferorthopädie für die Zahnmedizin machten eine Neuauflage des zweibändigen "Curriculums Kieferorthopädie" erforderlich. Das beliebte und erfolgreiche Curriculum Kieferorthopädie liegt nun bereits in vierter Auflage vor. Aus vorlesungsbegleitenden Skripten an der Universität Frankfurt am Main entstanden, behandelt das Buch - stets auf aktuellem Stand - den gesamten universitären kieferorthopädischen Lehrstoff. Lee, Jong Suk / Kim, Jung Kook / Park, Young-Chel / Vanarsdall jr., Robert L.
Prevention of undesirable tooth movement in both arches is now possible through the use of orthodontic mini-implants. This relatively new treatment concept has expanded the envelope of orthodontic treatment, offering an alternative to orthognathic surgery (particularly in the vertical dimension) and allowing asymmetric tooth movement in three planes of space. Jacobson, Alexander / Jacobson, Richard L.
This important textbook has now been updated and expanded to reflect emerging technologic innovations. Eight completely new chapters have been added on the advantages of 2-D versus 3-D analysis; the use of imaging; the value of electronic storage, analysis, and retrieval of all records; anteroposterior cephalometry; and the first 3-D cephalometric analysis. 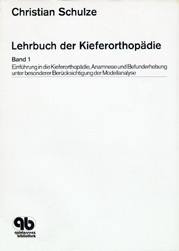 An accompanying CD-ROM contains a reproducible headfilm and templates, both for manual and digital cephalometry. 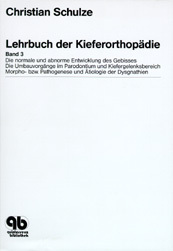 This book explains how impacted teeth can be erupted and moved into the dental arch. 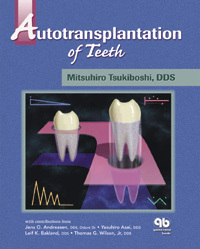 The authors present step-by-step procedures for establishing a precise anatomical diagnosis, restoring eruptive pathways, making room in the dental arch, locating the impacted tooth, and developing effective appliances. 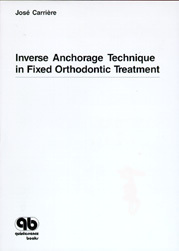 This book provides an in-depth look at the clinical applications of the Invisalign system. Every step of the treatment process is illustrated: from impression taking and image acquisition to virtual diagnosis through digital 3D treatment planning. In addition, the technology behind the Invisalign System-including software, appliance design, manufacturing, material properties, biomechanics, and periodontal response to treatment-is presented. Establishing the most favorable moment to initiate orthodontic treatment requires an understanding of craniofacial anatomy and development as well as some training in child psychology. 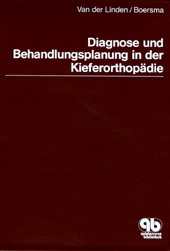 This manual explores these concepts in detail to address when treatment should begin, which techniques should be used, how to form a precise diagnosis, and how to choose the therapy best suited to a patient. 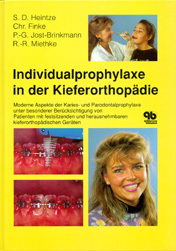 In previous textbooks by the author, emphasis was placed on the theoretical basis of orthodontics, which is so essential for diagnosis and treatment planning. 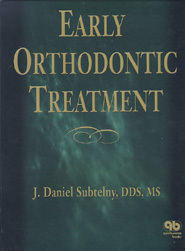 Treatment procedures were covered only superficially, because the variation in methods and techniques is so great. In addition, techniques are improving continuously, and new materials and methods are introduced regularly. 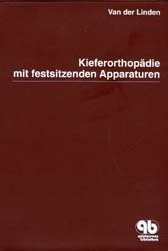 Graber, Thomas M./Eliades, Theodore/Athanasiou, Anthanasios E.
Das Buch ist als Hilfe für Kieferorthopäden gedacht, die Patienten mit Lippen-Kiefer-Gaumen-Spalten behandeln. Hierin sind das Wissen und die Erfahrungen einer über 30-jährigen Tätigkeit als Kieferorthopädin in einem interdisziplinären Spaltteam zusammengefasst. Burstone, Charles J. 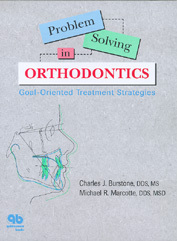 /Marcotte, Michael R.
This text discusses the major steps involved in current and advanced decision-making in orthodontics, which together lead to pleasing facial and dental esthetics, normal dental health, and stability of the dentition. It describes and demonstrates the process of defining and illustrating treatment goals and objectives in three dimensions, and explains how mechanotherapy can be designed to achieve these treatment goals. 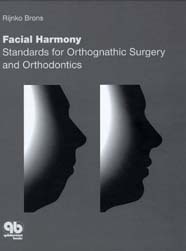 Focusing on the influence of craniofacial growth on jaw position, this book shows how to incorporate such knowledge into diagnostic and treatment approaches to gain long-term stability. All types of malocclusion, from retrusion and asymmetry to cleft palate and hemifacial microsomia, are discussed. Case presentations demonstrate the importance of initiating orthodontic treatment at early ages to gain the greatest possible control over form and function and changes with time. 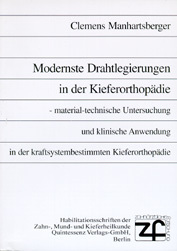 Combine European and American treatment methods to increase the possibilities for effective treatment in dentofacial orthopaedics. This book surveys the current European systems, using case studies to show how they can be applied, adapted, and combined with American methods for increased effectiveness and shortened duration of treatment. 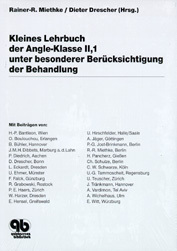 Band 1 vermittelt den Lehrstoff der Vorlesung "Einführung in die Kieferorthopädie" und behandelt unter anderem das Erkennen von Dysgnathien und ihre Klassifizierung. 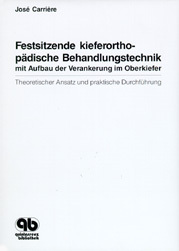 Es ist somit in erster Linie ein Buch für Studenten, darüber hinaus aber auch eine Hilfe für den praktischen Zahnarzt. Der Leser erhält einen vorzüglichen Überblick und wird mit den modernen Möglichkeiten einer sachgemäßen Behandlung vertraut gemacht. 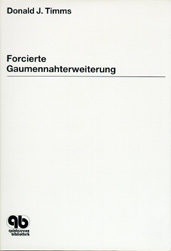 Der 3. 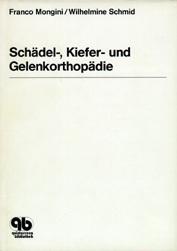 Band der Lehrbuchreihe beginnt mit einem Kapitel über klinische Genetik, da ohne Kenntnisse auf diesem Gebiet die normalen und abnormen Entwicklungen des Gebisses, die ausführlich dargestellt werden, nicht verstanden werden können. Erbfaktoren spielen bei der Entstehung von Dysgnathien eine viel größere Rolle, als ihnen gemeinhin zugebilligt wird. Dies bei Besprechung ihrer Pathogenese und Ätiologie zu belegen ist ein Hauptanliegen dieses Bandes. Using this altered Edgewise technique, orthodontists can at last rationally chart the treatment of malocclusions and develop standardized descriptions of the stages involved. Illustrates step-by-step procedures of this proven technique showing sequential changes in tooth position in specific cases of extraction and nonextraction. 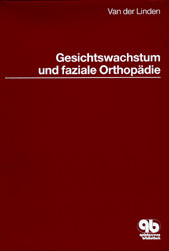 Das vorliegende Buch baut auf den drei bereits veröffentlichten Bänden "Gebißentwicklung", "Gesichtswachstum und faziale Orthopädie" sowie "Diagnose und Behandlungsplanung in der Kieferorthopädie" auf. Im Band 4 liegt der Schwerpunkt auf komplexen Situationen, in denen Diskrepanzen in den Bereichen Zahnposition, Okklusion und Kieferrelationen zusammen mit weiteren Störungen oder ohne diese auftreten. Das Augenmerk wird auf klinische Situationen gelegt, wie sie in der Praxis aufgetreten sind. Presents a series of practical design cards for functional appliances. The cards give detailed notes on clinical selection of appliances and technical construction. An invaluable working guide for both clinicians and technicians. Orthodontics as a science is still very young, and a major part of the development of this profession has been based on "trial and error" approaches rather than deductive research. 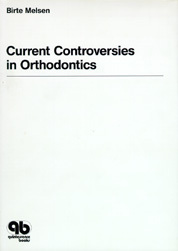 Controversies have thus sprung up within the field of orthodontics. This book brings together contributors who are experts in their fields, and who evaluate selected topics of controversy in an attempt to differentiate between untried "traditions" and fact supported through scientific tests. 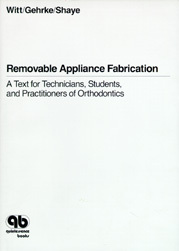 Describes the planning, design, and construction of the most commonly used removable orhtodontic appliances. 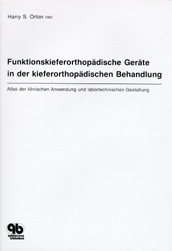 The mechanism of action for each appliance - a prerequisite for proper design and clinical manipulation - is emphasized. Many of the appliances, while common in Europe, are virtually unknown in North America. Das Hauptanliegen des Autors ist die Schritt für Schritt erfolgende Darstellung von Behandlungsfällen, die mühelos vom Leser nachvollzogen werden können. 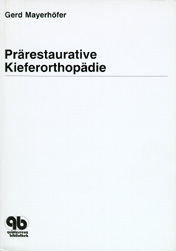 Er geht ausführlich auf mögliche Fehlerquellen ein und betont den "ganzheitlichen Aspekt" seiner Behandlung, d.h. die Verbindung von Kieferorthopädie, Parodontologie und restaurativer Zahnheilkunde. 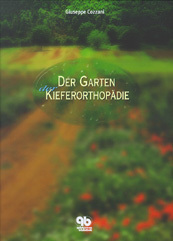 Das Buch wendet sich an allgemeine Zahnärzte, Kieferorthopäden, Kiefer-, Mund- und Gesichtschirurgen. 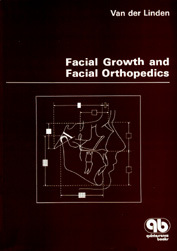 Describes the relationship between development of the dentit and growth of the face and demonstrates the ways that facial orthopedic appliances change facial morphology and growth. 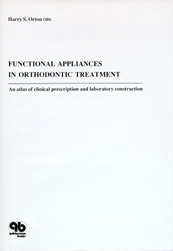 Operating mechanisms of appliances are paralleled with principles of harmonious natural development of the face, giving students a firm foundation for diagnosis and therapy clinical orthodontics. Emphasis is on the role of noncalcane structures. Europäische, amerikanische und kombinierte Methoden für die allgemeine Praxis und für die Fachpraxis. Ein Leitfaden in 2 Bänden. Hösl, E. /Baldauf, A. 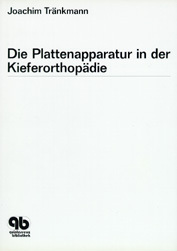 /Diernberger, R. /Grosse, P.
Die Verhütung von Parodontalerkrankungen gilt seit langem als eine Hauptindikation für die kieferorthopädische Behandlung. 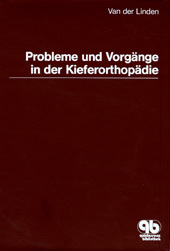 Kritische Stimmen weisen in den letzten Jahren aber auch auf durch kieferorthopädische Behandlung verursachte parodontale Schäden hin. 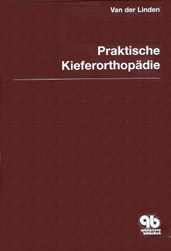 Namhafte und kompetente Kliniker und Wissenschaftler geben einen Überblick über die Berührungspunkte von Kieferorthopädie und Parodontologie. 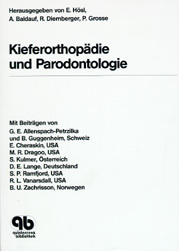 Das Buch wendet sich an allgemeine Zahnärzte, Kieferorthopäden und Parodontologen.